When my lovely sister-in-law announced that she was getting married in Italy, weeks of research went into where we wanted to go and what we wanted to see en route to and from the wedding. Florence was top on the agenda – a place known for its iconic domed cathedral, monuments, quaint cobbled streets and of course, jewellery!! Guide books do little justice; nor will this post. There really is no substitute for experiencing the Florence jewellery bridge yourself, but hopefully this will serve to whet your appetite. Florence is a melting pot of culture that’s been brewing since it set its mark on the maps. With its foundation laid on the Etruscan settlement, this magnificent Tuscan capital became the symbol of the Renaissance during the early Medici era. The city has a distinct artistic comprehension of art, culture, history, and style. 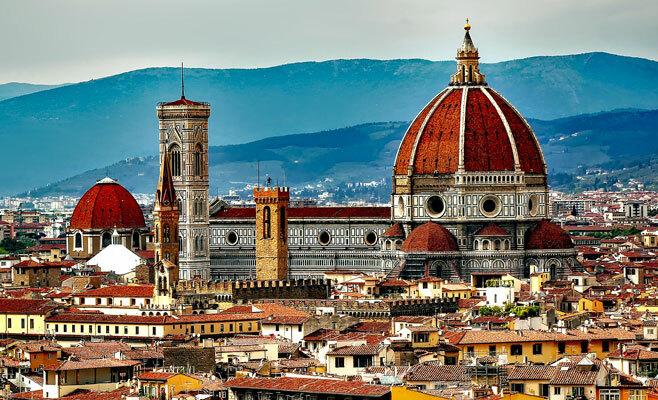 With its intricately designed and colour-drenched boulevards, Florence is a perfect concoction of ancient Renaissance prowess and contemporary urbanisation. Small wonder that its historic centre is a UNESCO World Heritage Site. It also harbours a ravishing sense of style. Long before the coronation of Milan as Italy’s fashion capital, Florence was home to various boutiques and artisan workshops. A walk down the Florence jewellery bridge: a feast for the eyes! 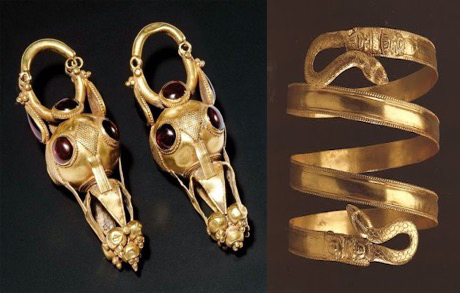 Ancient Roman jewellery was revolutionised by the Etruscan community who fabricated delicate, intricate, highly complex and incomparable designs using gold and glass beads that set a benchmark for the world to aspire to. As time went by and with the growth of the Roman Empire, their designs began to incorporate inspiration from other cultures whilst simultaneously utilising the vast range of precious gems available. 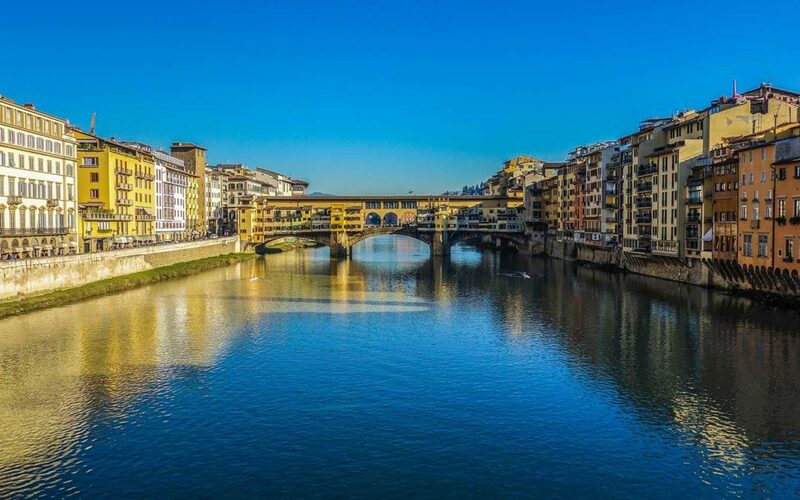 When venturing along the Florence Jewellery Bridge – Ponte Vecchio, your eyes will have to do a fair amount of sifting to search for the traditional Roman styles amongst contemporary trends. Here’s an overview of some of the iconic designs to look out for. 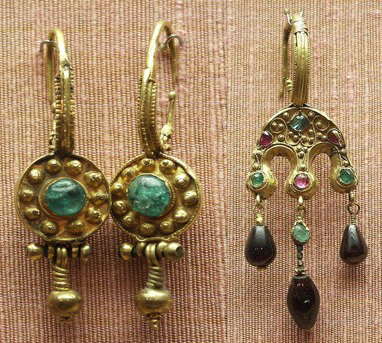 People from the Byzantine era indulged their vanity and showcased their status through jewellery. Gems like sapphires, diamonds, and emeralds were exclusively set aside for the wealthy. To produce less formal options and become more accessible to the public, Italian designers started to use more affordable materials for their jewellery such as lava and shell. Signature items included the cameo brooch, gold and glass earrings, and pectoral ornaments. Innovation in traditional gold loop earrings brought forth the ‘drop’ or ‘chandelier’ style of earrings. Glassmakers from the Middle East introduced Italy to glass and its glory. This groundbreaking discovery led to an increased demand for glass earrings. Charm jewellery and much more! The men in ancient Rome chose to adorn themselves with rings as a symbol of wealth and power. Gold was often fused with other metals to increase its strength, a technique which is practiced to this day. The use of coins in jewellery was not introduced by the Romans but rose to fame in the same era. Amulets and talismans were also a particular favourite as they were said to bring good luck and fortune. 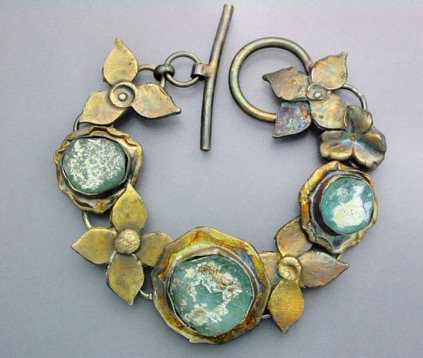 Roman jewellery used symbols as talismans. 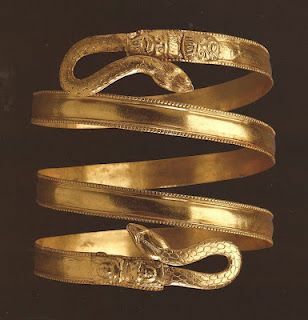 Perhaps the most renown is the coiled snake which represents immortality. Similarly, eagles represented victory and poise, fish represented fertility or wealth, spiders represented foresight, and the ‘cornicello’ or horn is said to provide protection from the eyes of evil. It was beautiful to see inspiration from ancient times – both creative and spectacular – melding with contemporary design. The expertise and skill of ancient Italy set a standard for the world by engineering magnificent designs that are a perfect marriage of tradition, culture, and creativity at its absolute best. 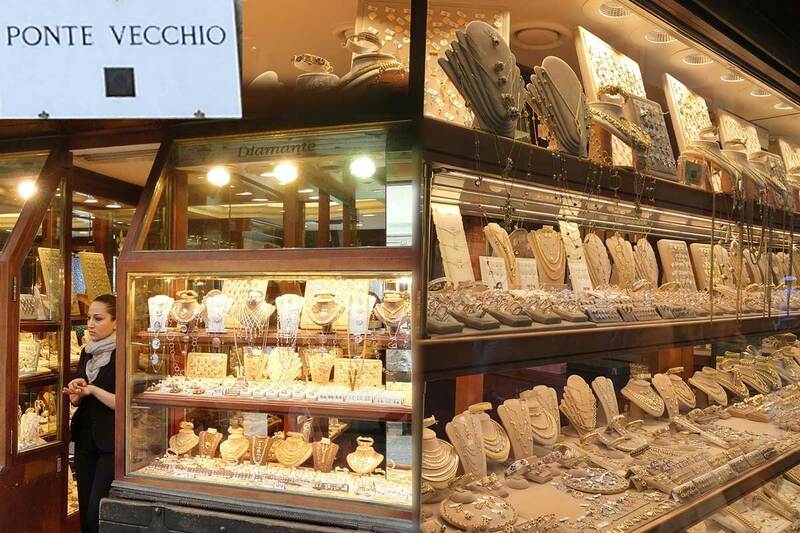 Whether to window shop or hunt for something distinctive to add to your collection, a trip down Ponte Vecchio is a must – you won’t regret it!